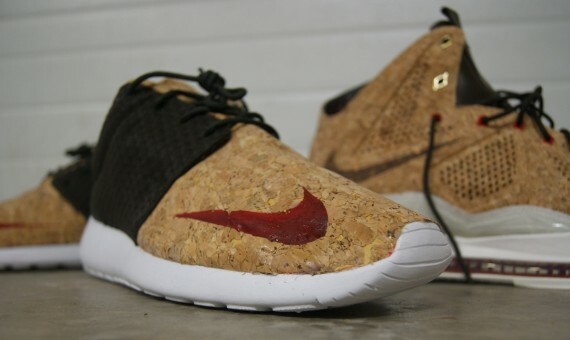 Ever since the Lebron 10 “Cork” release a few months ago, there’s been quite a few “Cork” inspired customs all over instagram but only a few have been executed properly like this Roshe Run FB created by AMAC customs. The special Roshe features a Cork toe box (Real Cork BTW), original mesh material still in tact and a white sole just like the Lebron 10. Would you pick these joints up if released? Let us know if you’d cop!